"A venturesome journalistic spirit in the form of George Nearpass walked into Marmont one day, set up his little printing press, and began the spreading of the local news and gossip through the medium of type. From that small and somewhat crude beginning, and after forty years of upbuilding, during which time four editors have occupied the chair in the "sanctum," has evolved the present strictly modern and highly developed "Culver Citizen." 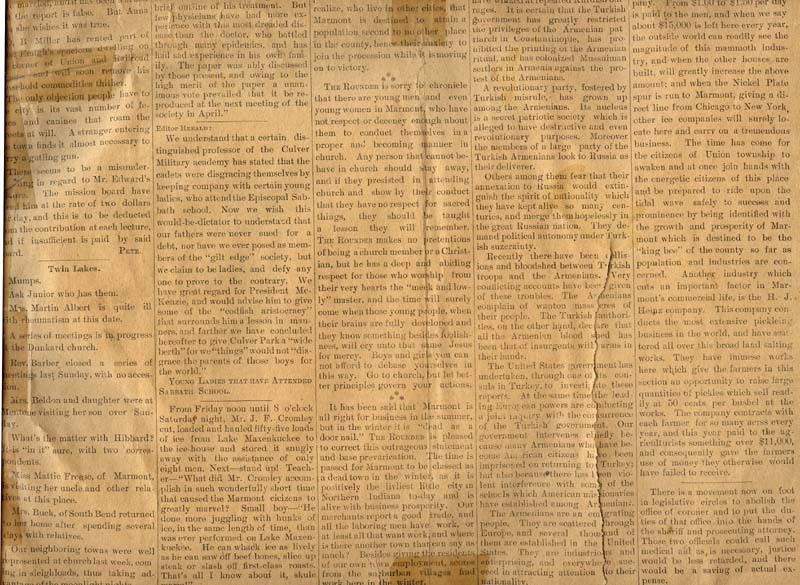 The first newspaper in Marshall County was reputed to be "The Plymouth Journal," which was said to have survived but a day. It was published about 1844-45, according to Daniel McDonald. That was ten years after the arrival of the first white settlers in Union Township. The first news­paper regularly established in Marshall county, the "Plymouth Pilot," was first issued April 16, 1851. 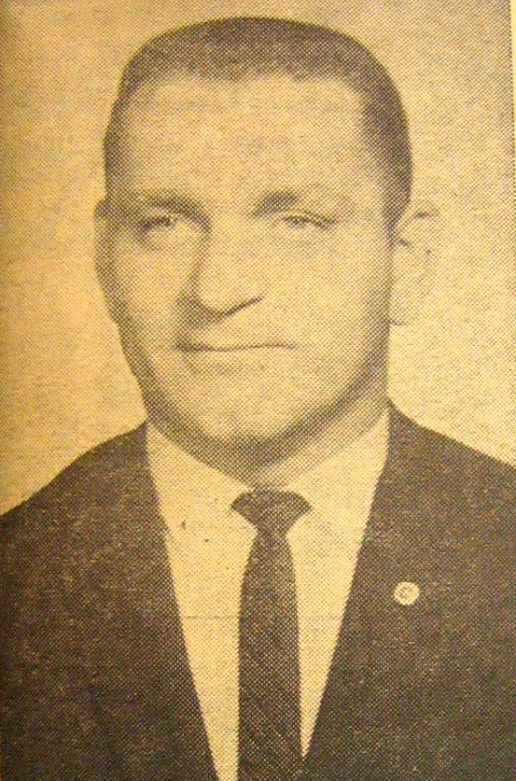 John Q. Howell was editor and proprietor. Then come "The Bourbon Independent," established in 1865 by J. Frank Beck, and the "Argos Globe," started in 1867 by Charles Riddle. 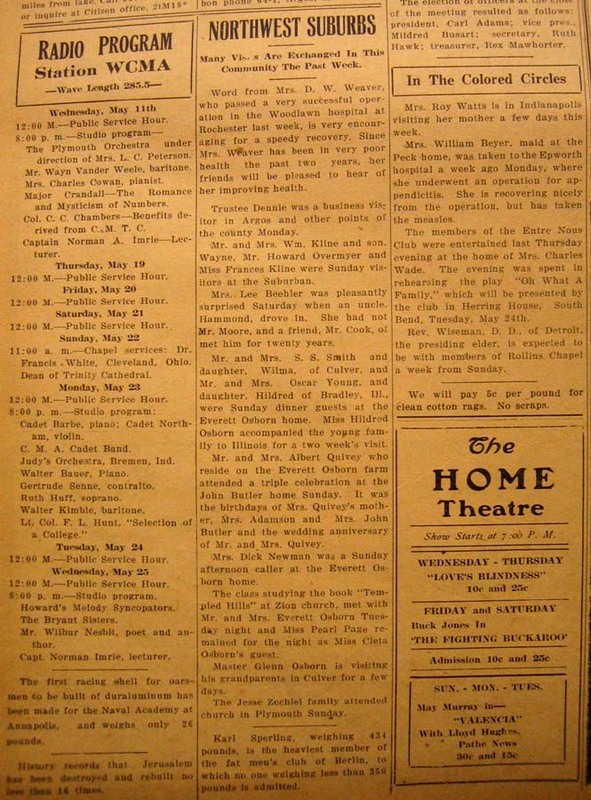 On the 13th of July, 1894, appeared the first issue, Vol. I, No. 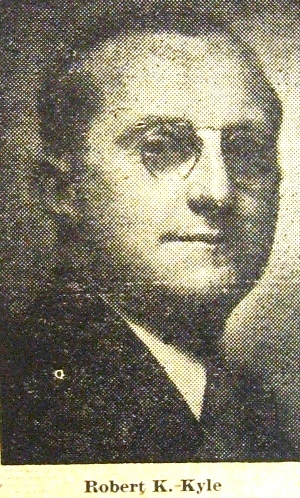 1, of the "Marmont Herald," George Nearpass, editor and publisher. Union 'Township's first newspaper was begun in restricted space, in a small one-story frame building, located on the west side of Main Street between Jefferson and Madison streets. The property is now owned by Harvey Warner, who has another building on the site. The building used by Nearpass was an old photograph gallery, which at one time stood somewhere nearly west of the present "6G" gas station on Lake Shore Drive. The building was moved by John Osborn, the banker who financed Nearpass, to the location south of the present Mitchell & Stabenow store. The Nearpass newspaper building stood long side, or "broadside," to the street, because it had been so built to accommodate the photo­graph gallery. Later, after the newspaper had used it, the building was moved again, to a location back of the present tin shop. 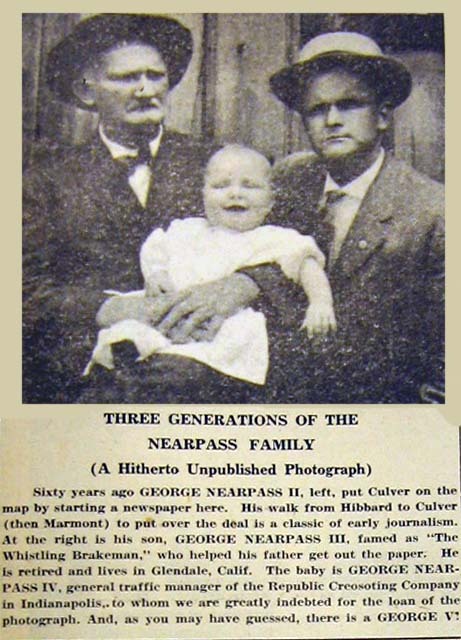 Nearpass edited and published the "Marmont Herald" and the "Culver City Herald" for about ten years. Prior to that period of his newspaper career he had conducted the "Hobart Gazette." 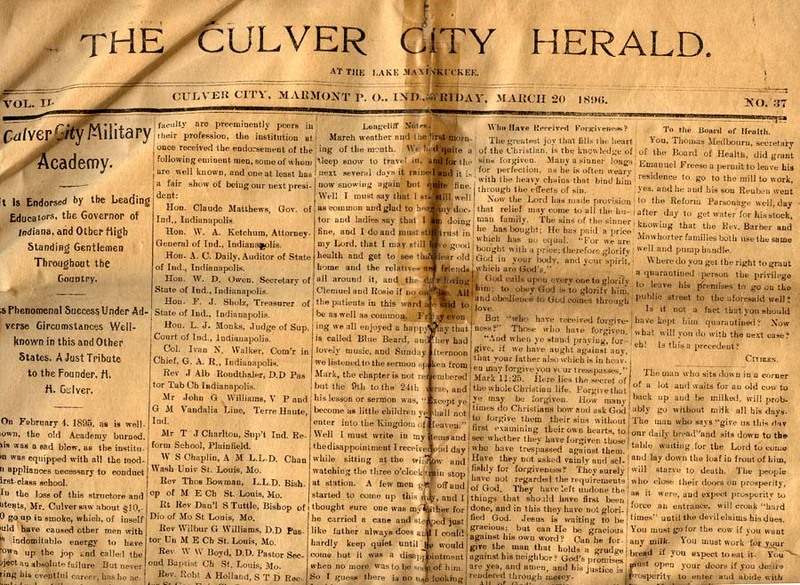 The "Marmont Herald" became the "Culver City Herald" when the name of the village was changed. 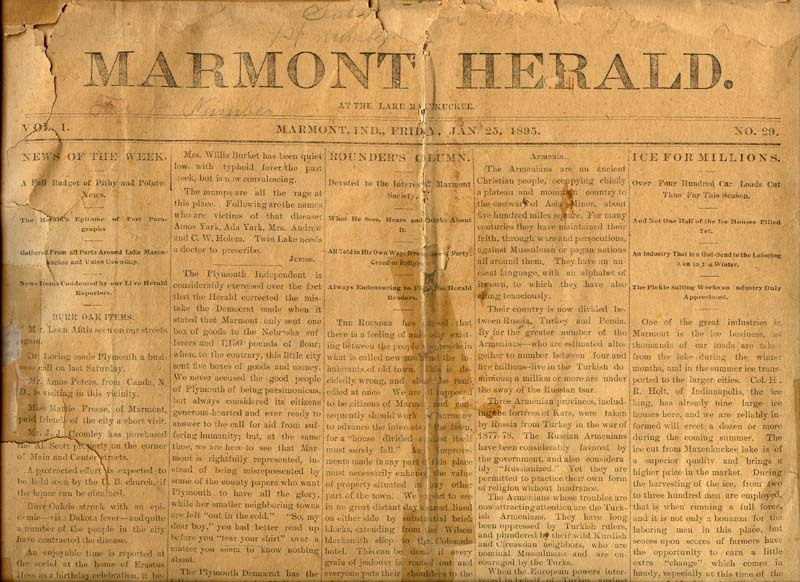 Left: The front cover of the January 25, 1895 edition of the Marmont Herald, not long before Marmont would change its name to Culver, and the paper to the Culver City Herald. One of the more interesting headlines pertains to the harvest of "ice for millions." 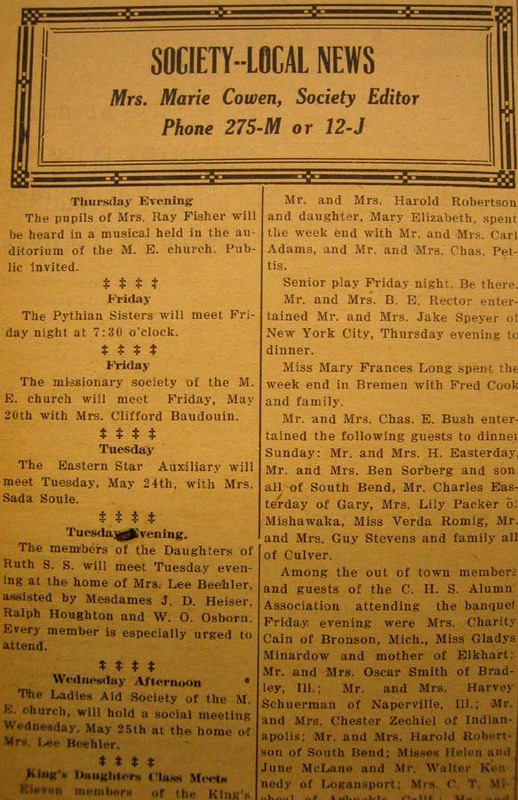 Above: Two sets of interesting material from the back cover of the March 20, 1896 Culver City Herald. 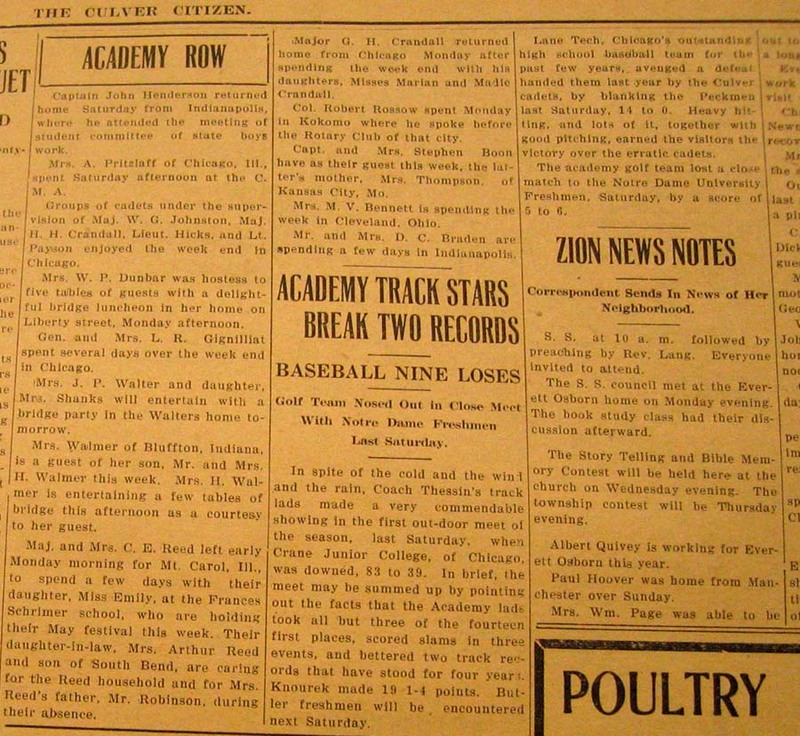 At top left are some amusing snippets of local news, and at top right an interesting advertisement and blurb on the early Culver Academy. The lower image contains a number of fascinating ads giving some insight into the businesses of the era. 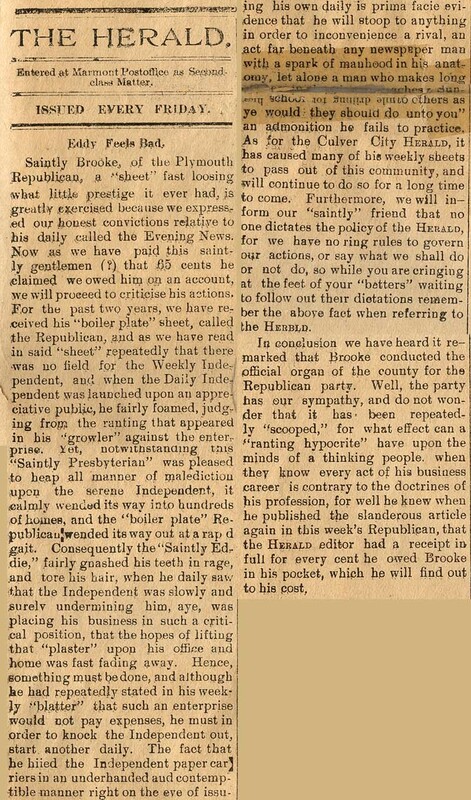 Also from the March 20, 1896 Culver City Herald (see previous picture), this editorial dismissed with the sheen of polite pleasantry that marked most newspaper writing of the day, and angrily attacked a rival newspaper publisher for his allegedly underhanded tactics. A fascinating and at times funny read! 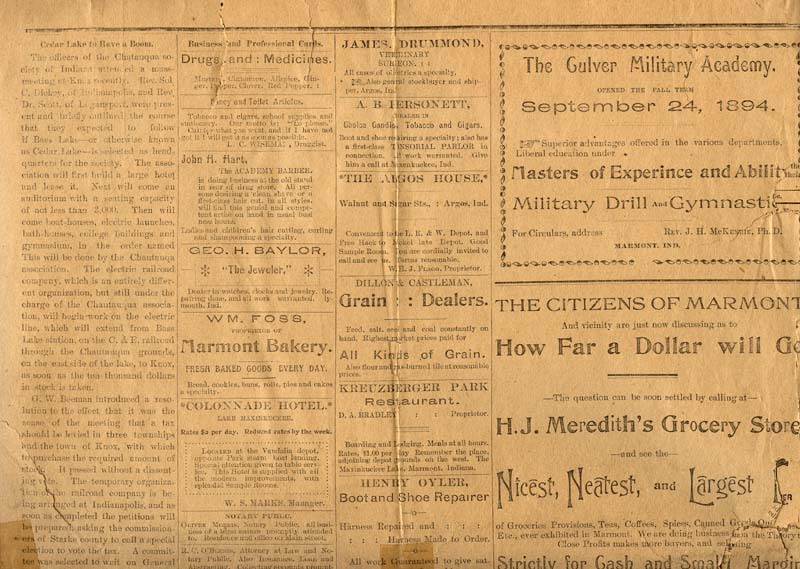 Click to view the entire 1898 Culver City Herald Souvenier Edition, chock full of vintage ads, writings, etc. It was published Fridays, and was eight pages (13 x 20); Subscription $1.00 per year. 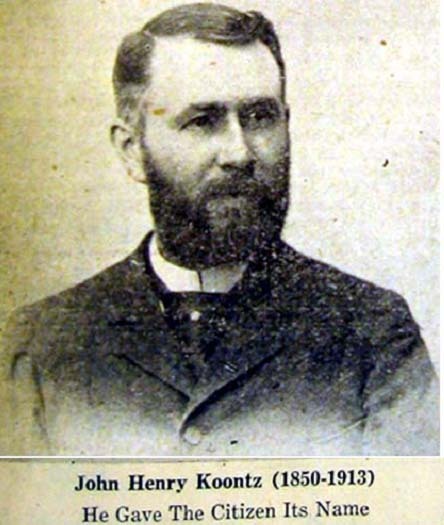 He published the paper in Culver for about nine years and sold it to J. H. Koontz, who changed the name to The Citizen. Pennysivania Railroad. He started his railroading for the Pennsylvania as a newsboy and has been on the railroad since June, 1900, when he was twelve years of age. 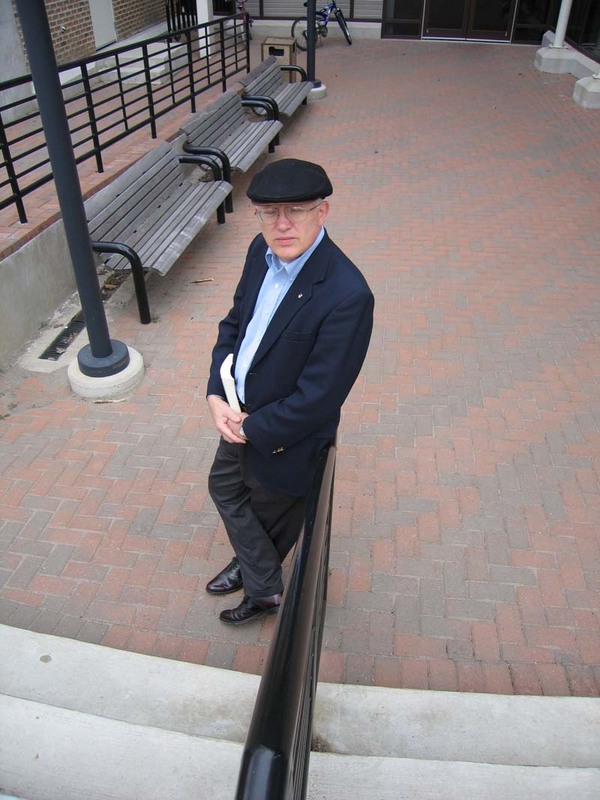 He is also known as the "Whistling Brakeman." He has broadcasted from nearly every large radio station in the U.S. He lives in Indianapolis." 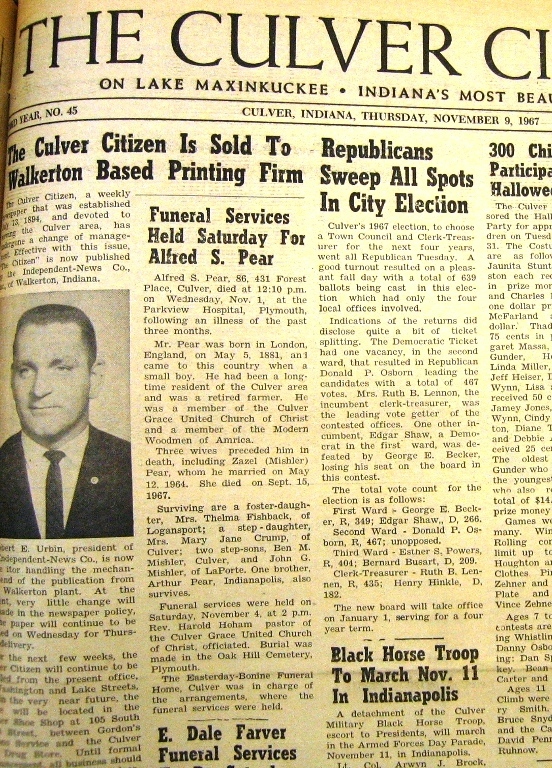 The Citizen was sold by J. H. Koontz, who changed the name of the paper to The Culver Citizen. 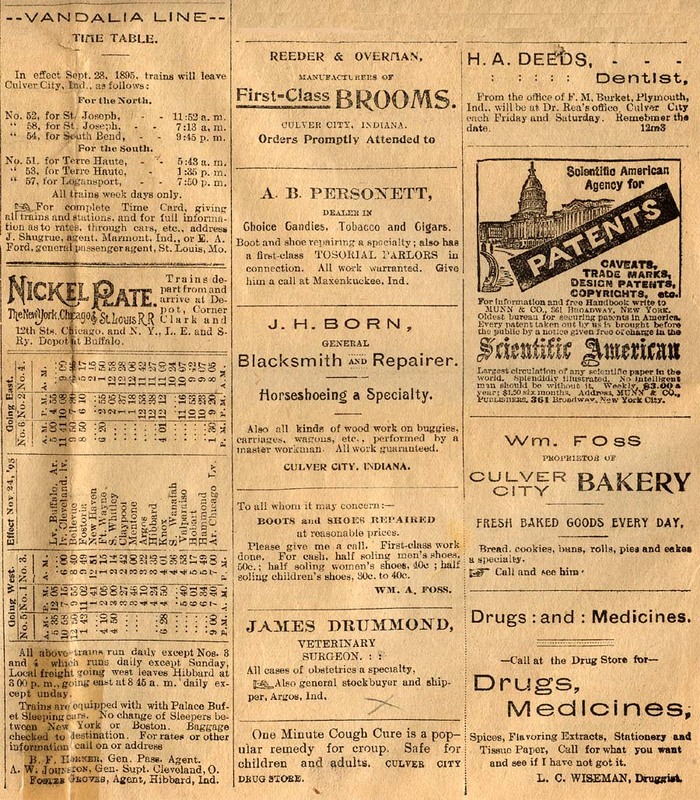 On April 1, 1906, passed to the ownership of Arthur B. Holt of Kankakee, Ill. Mr. Holt had been one of the publishers of the "Daily and Semi­Weekly Gazette," in that community. 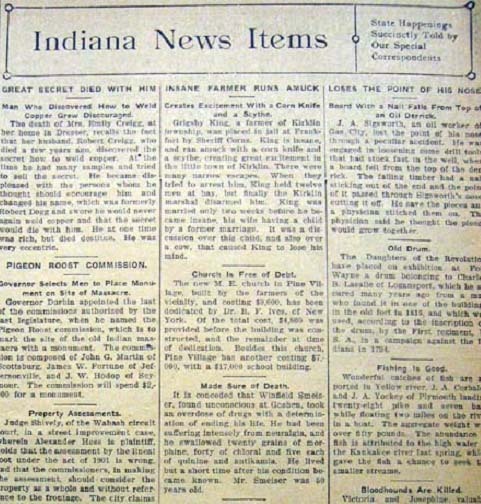 Mr. Holt remained as editor through the years that saw Culver grow from a village to a town and the paper progressed accordingly. He had a distinct flare for writing with a personal touch that made his Paper outstanding. His long reign in the editor's chair was an important chapter in the local history of journalism. 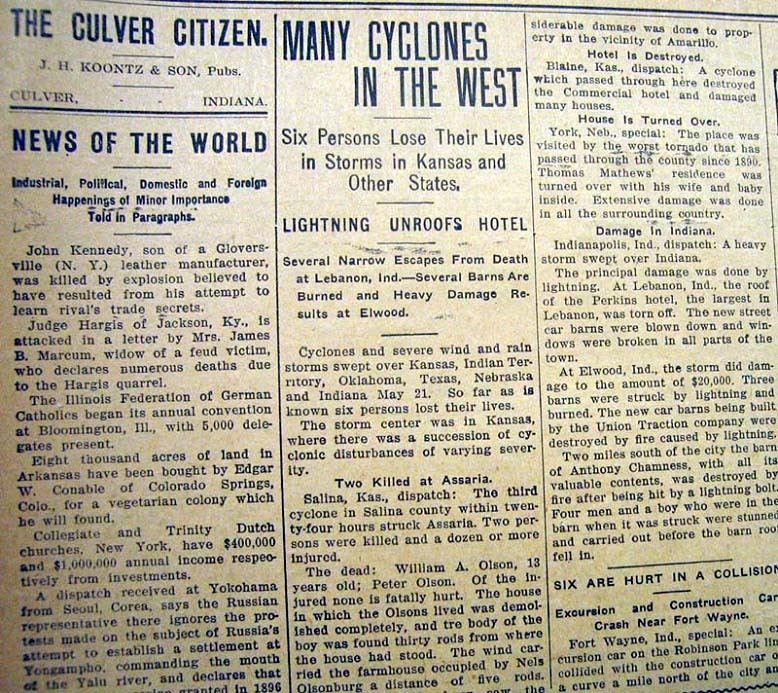 Among the signs of earlier times on the pages of the Citizen was the volume of not only local, but regional, state, national, and even world news. 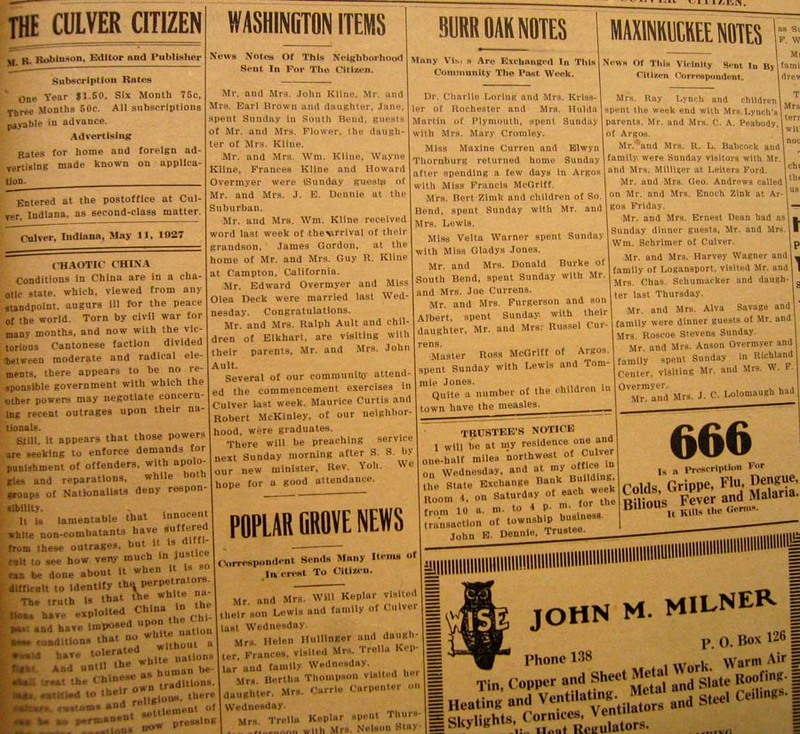 This fact was indeed indicative of days gone by: small town and rural papers like the Citizen was in the late 19 and early 20 centuries were the only vehicle for news that most people had in those days before television, radio, and even automobiles that might feasibly bring regional newspapers to town from cities like South Bend or Indianapolis. Another common feature of the Citizen during its earlier years and lasting at least until the mid-twentieth century was the proliferation of area-specific "gossip" columns, which – especially in the earlier years – left no social detail of travel, visiting, and dining unspoken. 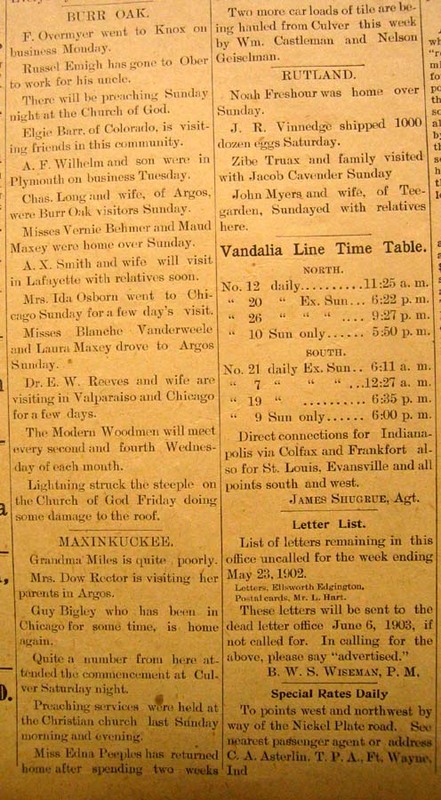 The sample here shows an early example, from 1903, and includes the Vandalia railroad time table, an important listing for local residents. It’s been said that writers for these columns were paid by the word, and even telephoned residents to find out if they had any "news" of visits or travels amongst family and friends. 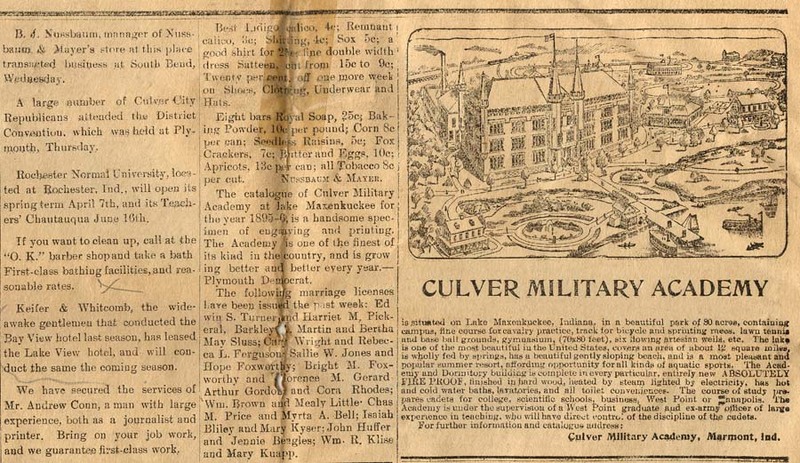 This example is particularly indicative of the times, in thiscase the 1930s: listed is the schedule of Culver’s own radio station, WCMA, which broadcast in multiple states as well as locally, and was based at Culver Military Academy. Featured here is the amusing geographic demarcation of the "northwest suburbs" of Culver. 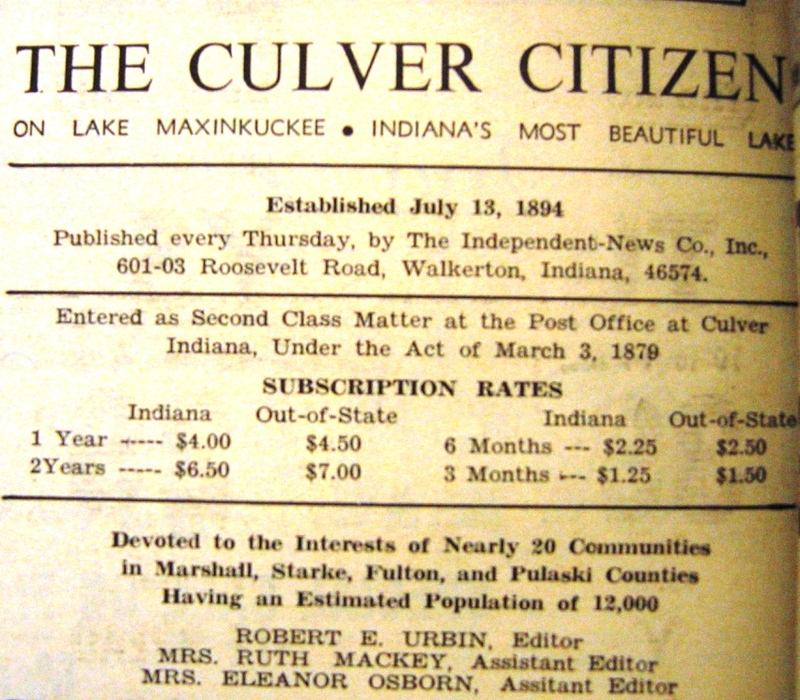 Also fascinating is the inclusion of “In the Colored Circles," an occasional column that chronicled the social lives of Culver’s African American community, which then thrived within the town limits due to the Academy’s all-black waiter system. 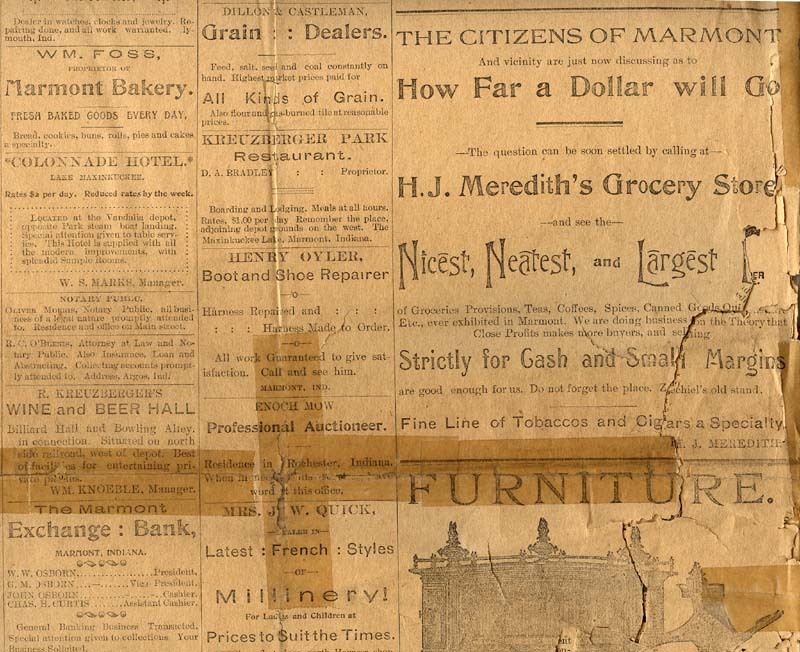 On July 1, 1923, the paper was sold to M.R. 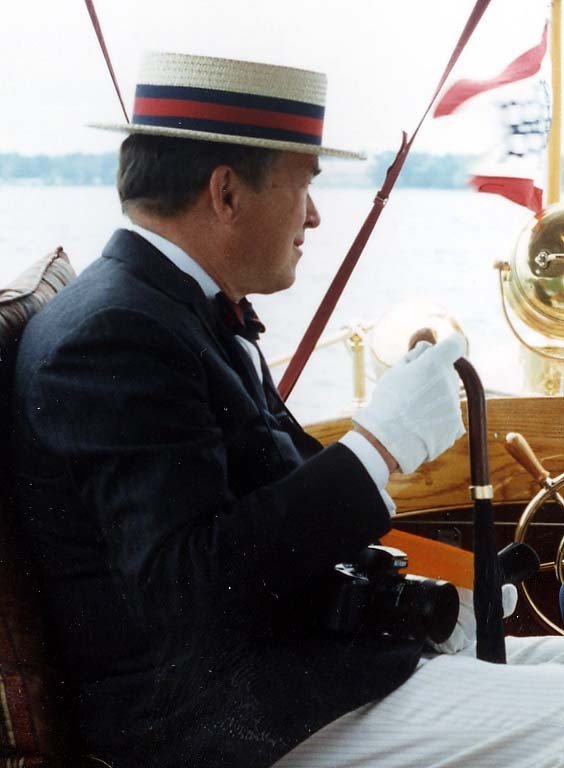 Robinson, who owned the Citizen for 23 years, longer than anyone else. Robinson, the son of a Plainfield, IL Methodist minister, had served overseas in WWI, and left a post as superintendent of a Kansas school to journey to Culver in 1923. 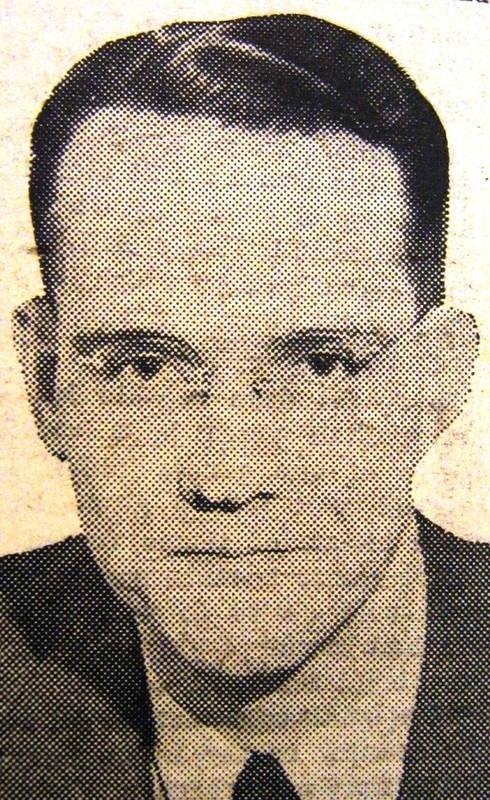 He involved himself in the community, as post commander and historian of the American Legion post, president and national councillor of the Chamber of Commerce, chariman of the Boy Scout Troop committee, president of the official board of the Methodist church, secretary of the council of churches, and, during World War II, was involved in various wartime drives and efforts. 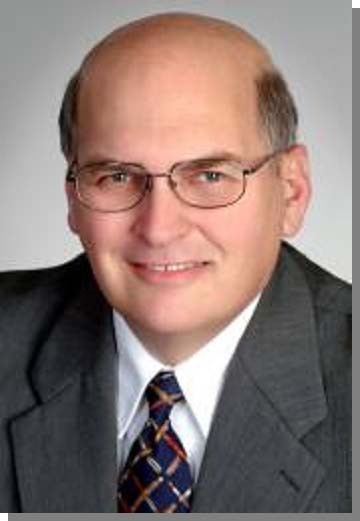 During Robinson's tenure, the paper became a 16-page tabloid with seven 22-inch columns on the page and won both state and national prizes for reporting and editorials. 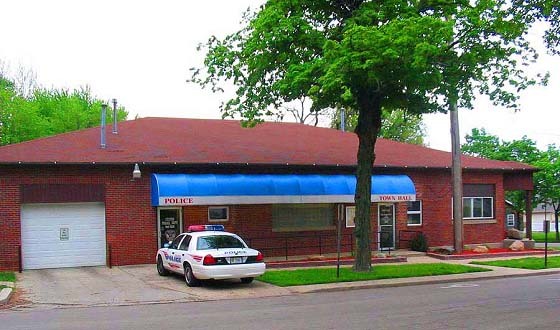 Above, left to right: the Citizen office was once located on Washington Street in the building now occupied by the VFW in Culver. Pictured, in the early 1930s, are M.R. 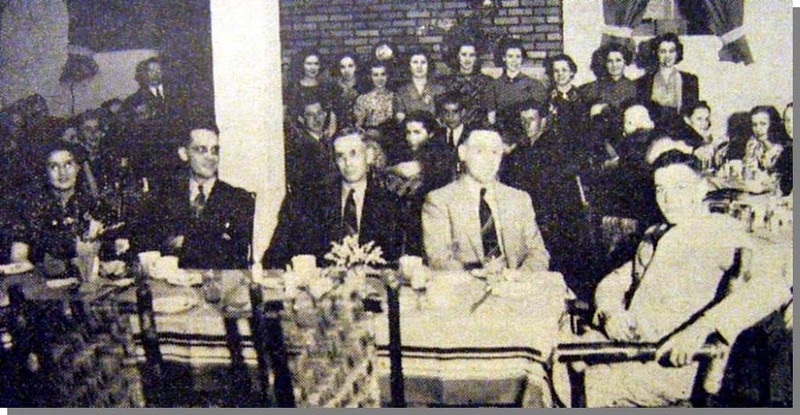 Robinson Dale Davis, Harold Stevenson, Ora Reed; at far right: a photo of Robinson from 1938. 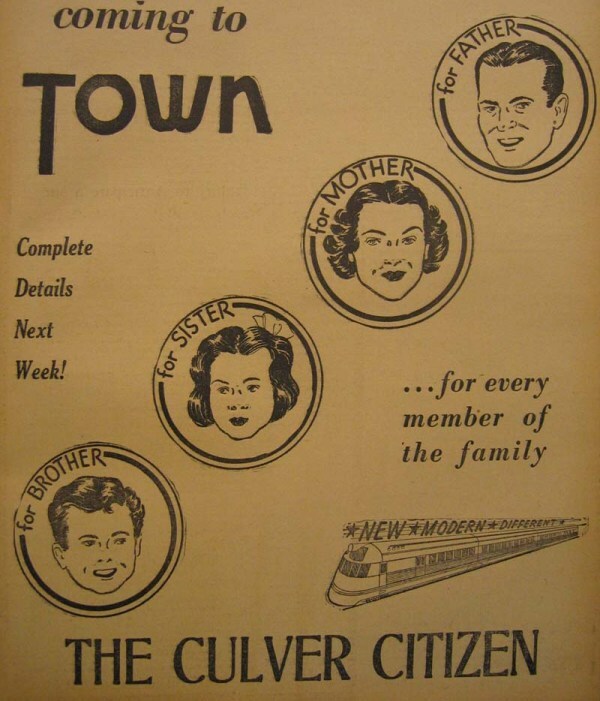 Above: A 1938 Culver Citizen advertisement. 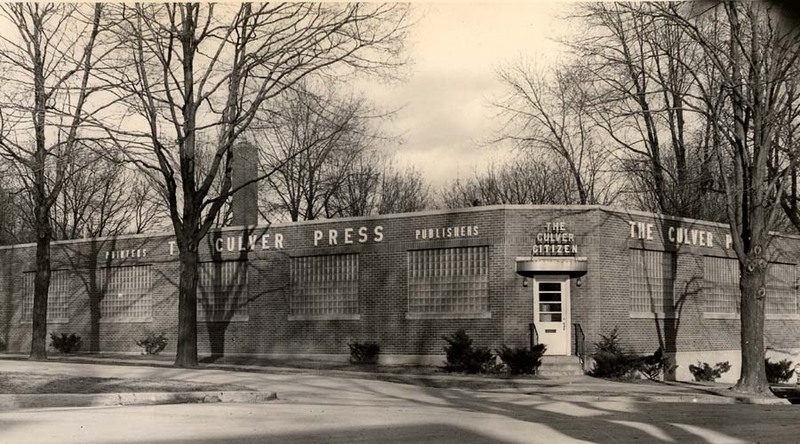 Left: The Culver Press printed not only the Citizen, but also local yearbooks andhandled the Culver Academy's printing needs as well. The building, pictured in the 1950s, eventually was converted to the Town Hall building of today. 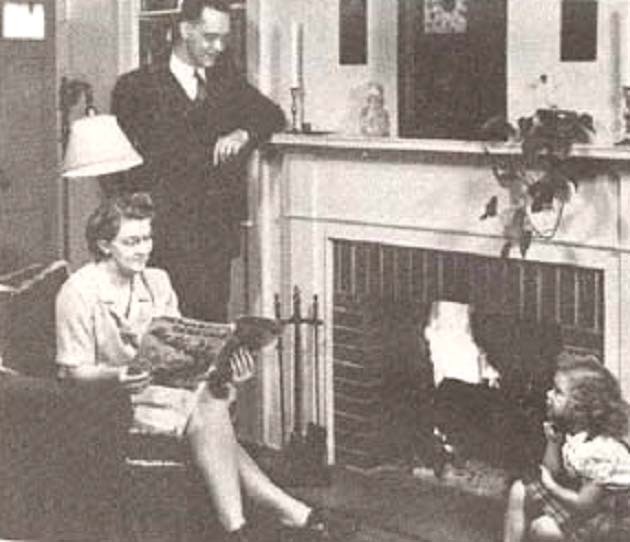 Above: Robert Rust with his family in 1943 (left) and in 1953, and receiving a Press Award in 1938 (far right). 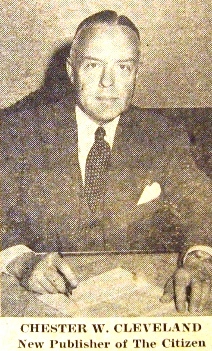 In February, 1949, Robinson sold the Citizen to Major (now Colonel) Charles Maull, who employed Robert Rust as editor. 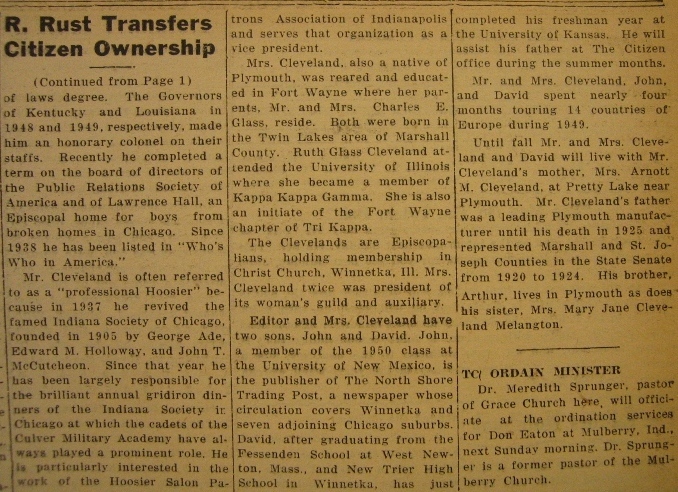 In May 1950, Rust leased the paper from Maull and served as publisher and editor until June 16, 1953 when he conveyed the Citizen to "Chet" Cleveland, a native of Plymouth who had returned to Marshall Cleveland was assisted during his Citizen years by son John, who later became a well-known resident on Lake Maxinkuckee. 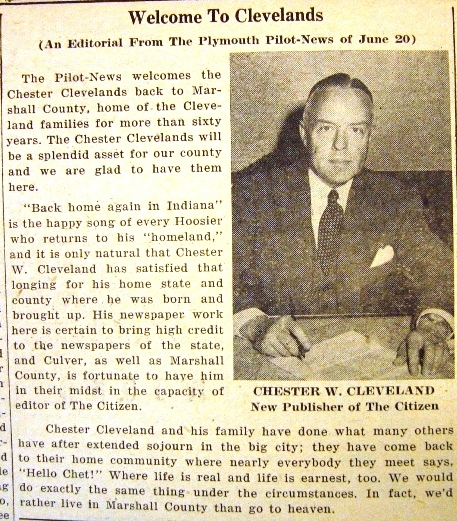 Above, from left: the Citizen announces the transfer of the paper from Rust to Cleveland; "Chet" Cleveland is pictured , and an editorial welcoming him, at right. Above: the paper's masthead before (left) and after (right) the November, 1967 transfer from Cleveland to Independent-News Co.; editor Robert Urbin photographed in 1967, and the articles announcing the change over. 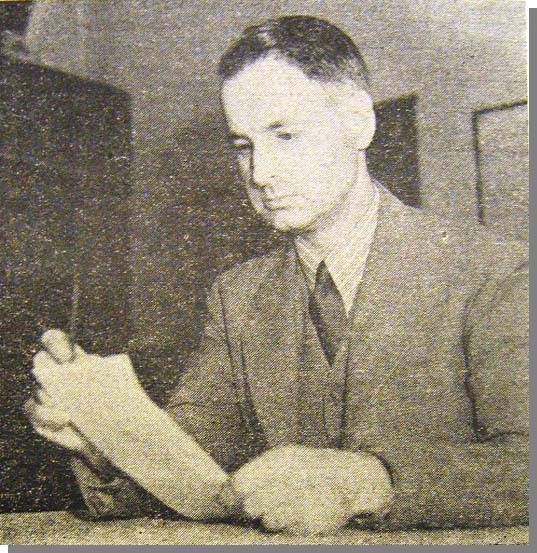 Above, left to right: Tom Zoss, editor as of 1974 (pictured in a recent photo); Bob Kyle photographed in 1953; one of John Houghton's "I Remember" columns These can be read in full on our website here). 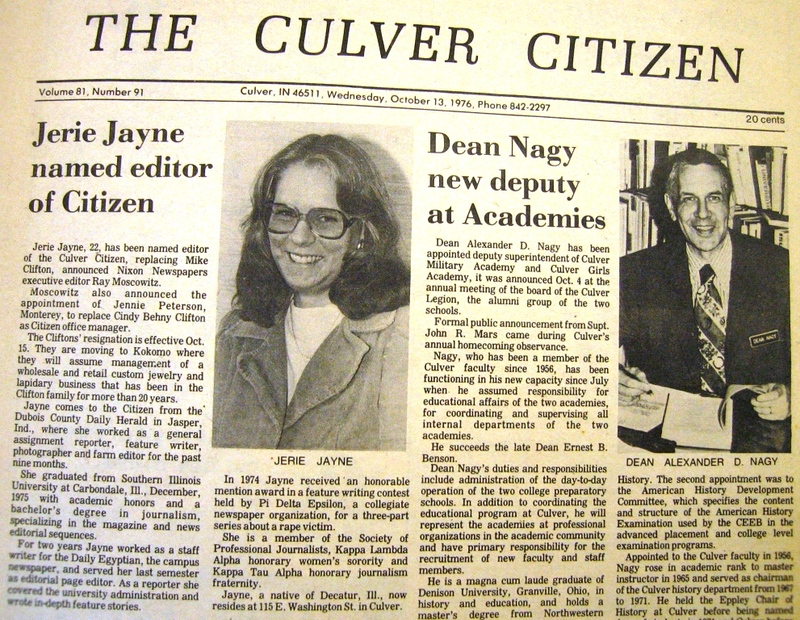 Above, left to right: Mike Clifton, the new Citizen editor as of 1976; two views of the new Jerie Jayne editor in October, 1976. 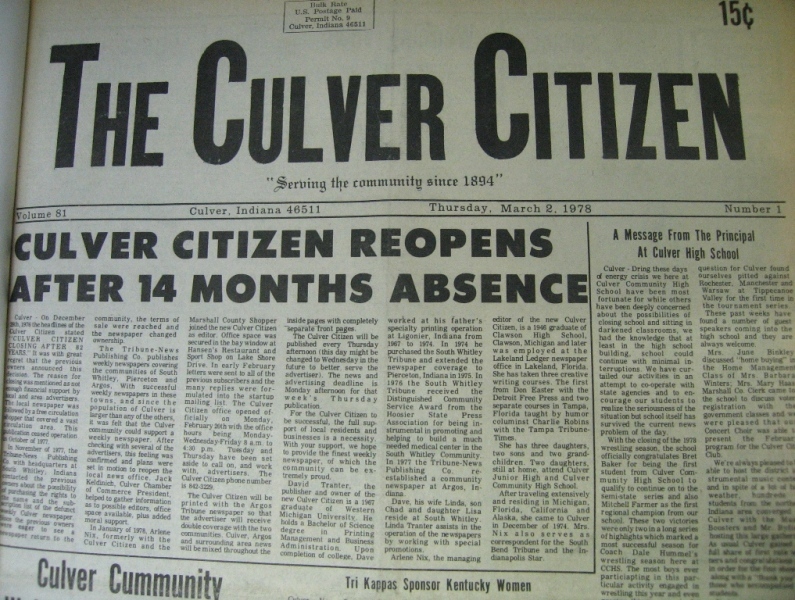 The Wednesday, Dec. 29, 1976 issue of the Citizen was to be the last, as the publishers announced the demise of the paper after 82 years of publication. 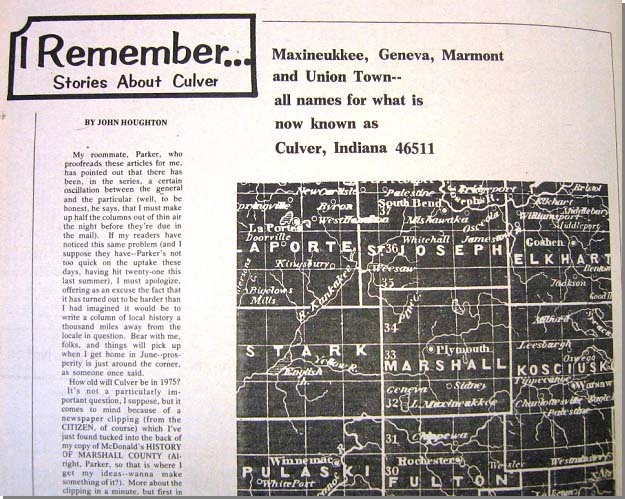 Culver news for the following 2 years was carried by the weekly TV Plus, a sister publication. 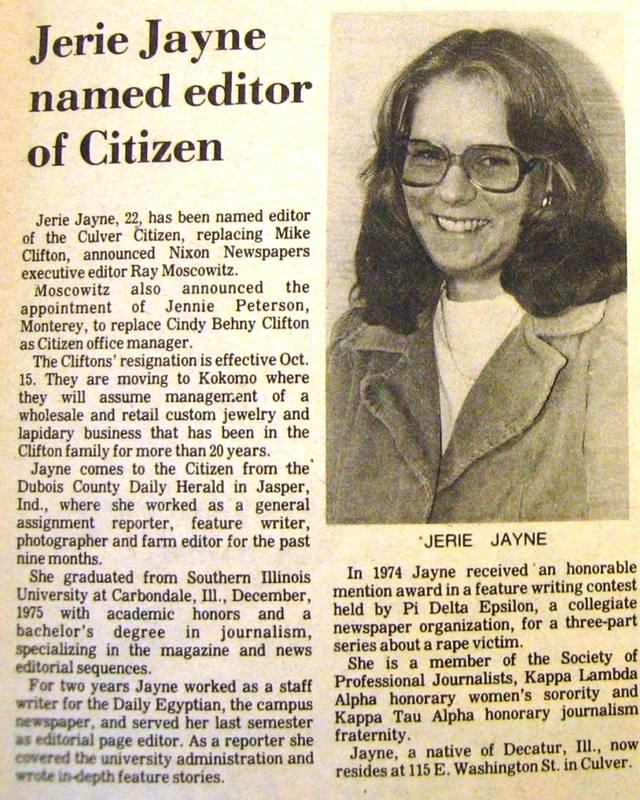 On March 2, 1978, the Citizen resumed publication under the ownership of the Tribune-News Publishing Company with Arlene Nix as editor. 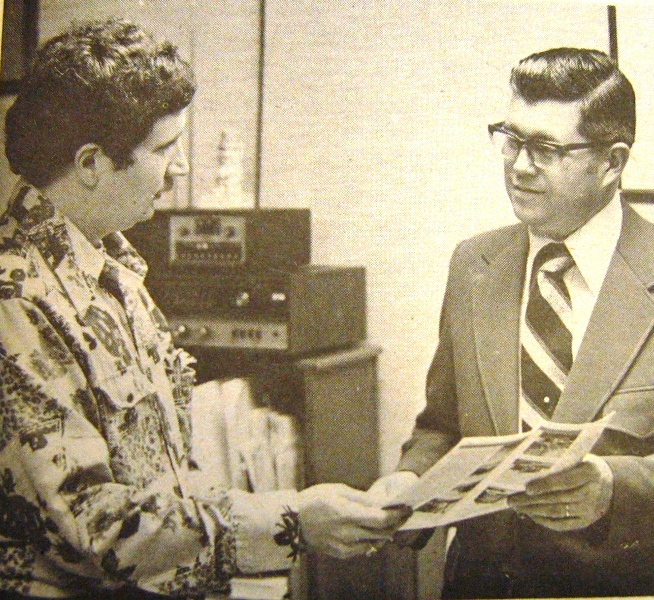 Above, left to right: Arlene J. Nix, the new Citizen editor as of March, 1978; the Citizen revived, the first issue in 14 months published on March 2, 1978; Bob Kyle examines the new Citizen; Cody McFarland was the first to purchase the newly revived paper. 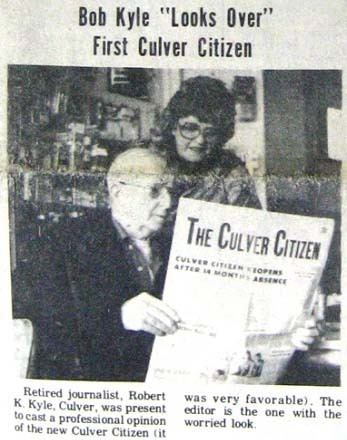 Dave Tranter took over publication of the Culver Citizen in 1978; he also published the Argos newspaper, and shared news stories of the two communities in each paper. 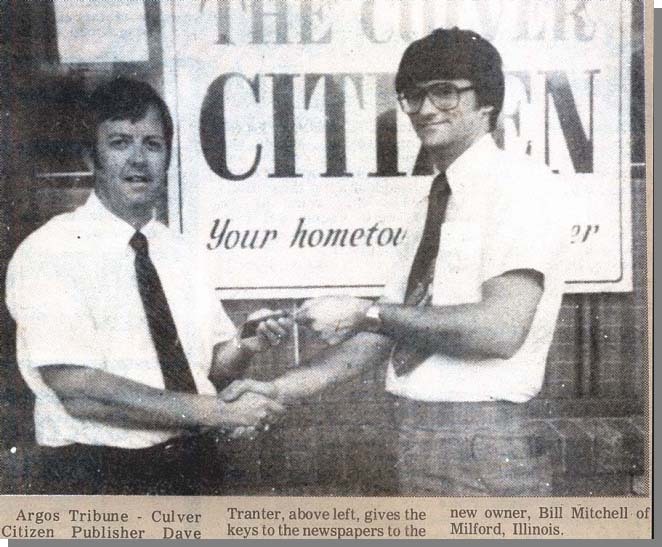 In the summer of 1982, Bill Mitchell of Milford, Illinois moved his family to Culver to take over publication of the Citizen. 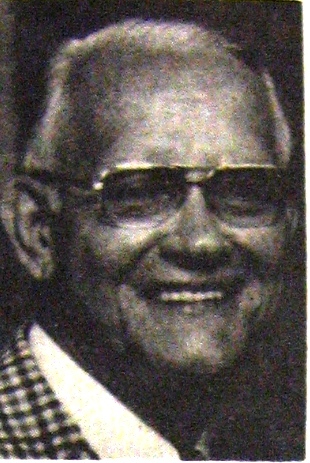 Left: Robert Rust in the 1980s, and the Citizen article on his life and passing. 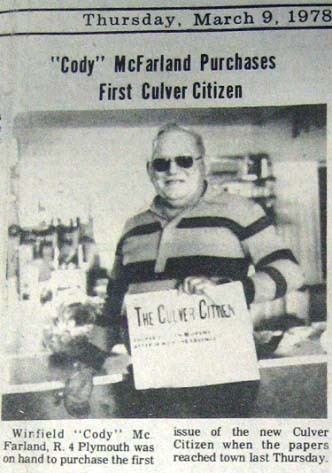 Former Citizen editor Robert "Bob" Rust was one of the few from the newspaper’s past to stay in the Culver area. Rust became something of a local history stalwart (as did John Cleveland, son of former editor Chet Cleveland, who also spent his last days in the Culver area). Rust wrote articles and even a few books on the history of Culver, and passed away in his 80s in 1986. 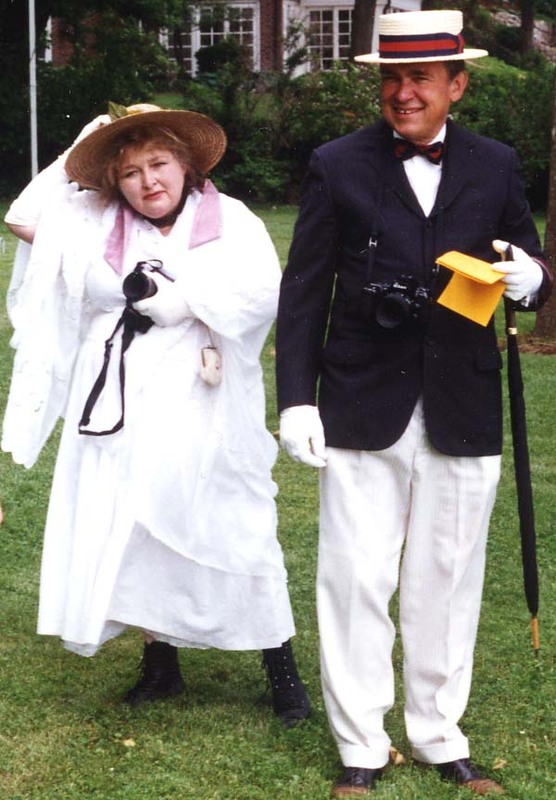 Fred and Judy Karst took ownership of the paper from Mitchell in October of 1989, updating the look and style of the paper for the new decade to come. The Karsts – with Fred as publisher and Judy as editor – won several awards in state and regional journalism for their reporting in the pages of the paper. Fred continues to write freelance and Judy works in real estate – in the same downtown office from which the Citizen was once published – today. In May, 1998, the Karsts sold the paper to Community Newspapers, Inc., a holding company for several area newspapers, including the Plymouth Pilot and the Knox Leader. 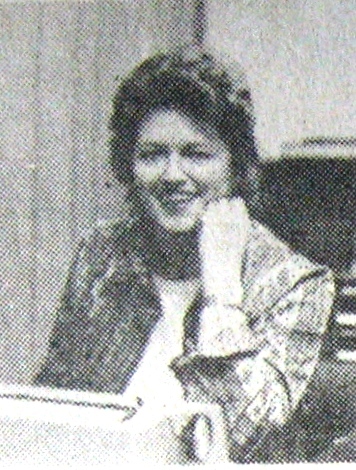 Maggie Nixon served as the paper’s editor in 1998 (she is now editor of the Pilot-News). The present editor of the Culver Citizen is Kelly Masson. 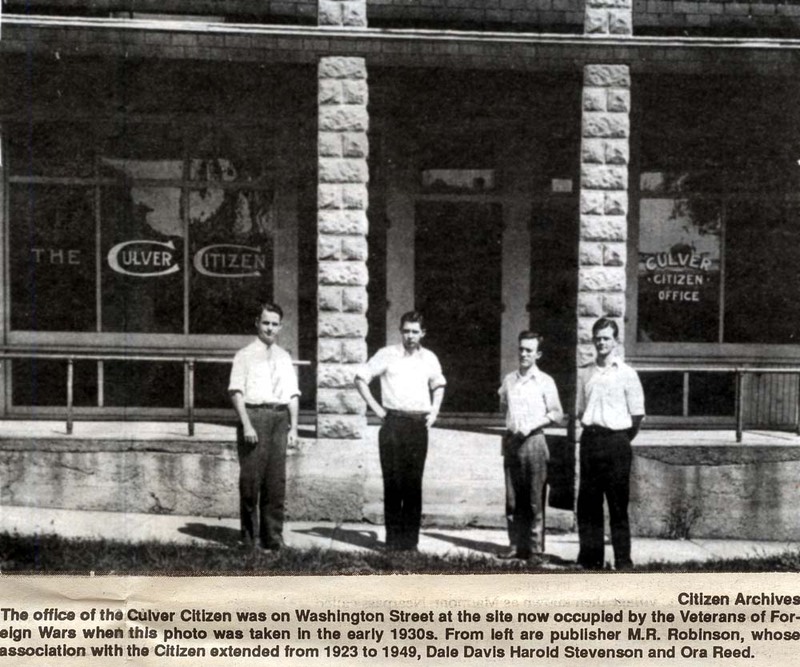 "The Herald/Citizen has been a part of the Culver community for more than half its life; at its best it was a leader in the town's affairs and even at its worst it held us together by providing something for us to complain about. What more could we ask?" 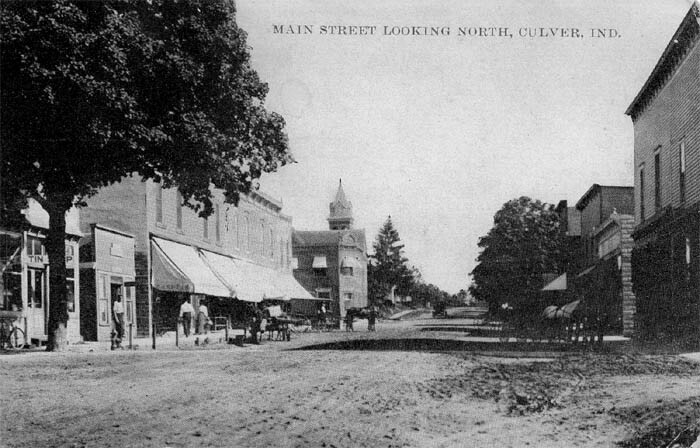 Edwin Corwin's "One Township's Yesterdays"
Mark Roeder's A History of Culver and Lake Maxinkuckee - click here to read the book full text. John Houghton's article, The Paper, from 1975. Click here to read the entire article. 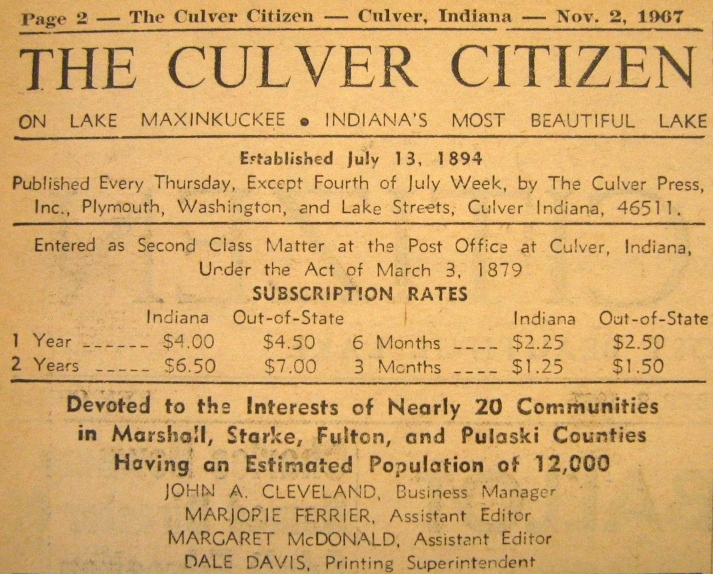 See also: Vintage advertisements from the Culver Citizen's past.